Going from dry food to wet food is a huge change. 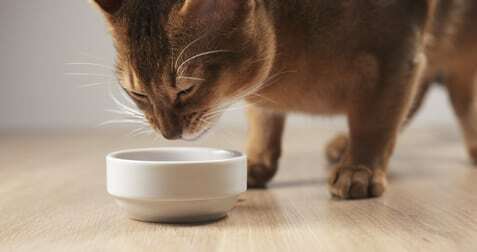 Going from one brand of dry food to another brand of dry is sometimes difficult enough because of smell, taste and texture issues but imagine how strange it might be for many cats to experience the very unfamiliar texture of wet food. So don’t be in a rush to do this transition and don’t take the tough love stance. 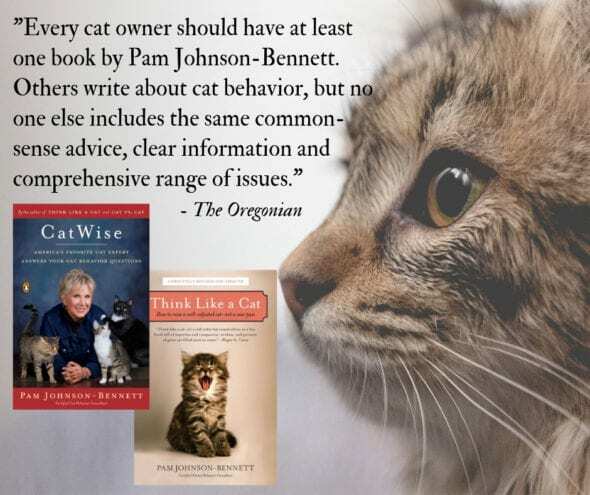 If you normally leave food down for free-choice meals, transition to scheduled mealtime in order to allow your cat to get hungry enough to want to try the wet food. If she’s able to nibble on dry food all day long she may never feel the need to even take a taste of the new food. Start on a schedule of three or four dry food meals a day (unless you receive other directions from your veterinarian) and don’t leave the food down for more than 20 minutes. Make sure though that when you place the food down you alert your cat to the fact that it’s mealtime. Once your cat has accepted the new routine of scheduled mealtime over free-choice feeding, you can then offer a wet food meal. Make the wet food as appealing as possible. Your cat may devour it the moment you place the bowl on the floor (and in that case, consider yourself very lucky! ), but she may also turn her nose up at it. Try warming the food slightly to release the aroma. Never serve canned food straight out the refrigerator. Cats prefer food to be room temperature or slightly warmer. Don’t leave wet food down for more than 20 minutes because it will dry and lose its taste appeal. Your cat certainly won’t be attracted to trying to pry food that has turned to concrete, out of the bowl. If your cat doesn’t touch the wet food, you can sprinkle a little dry food on top of the wet and offer the meal that way. You can also mix some dry food into the wet food so your cat has to work a little harder to get to the dry food and in the process, tastes more of the wet food. Gradually reduce the amount of dry food you mix into the wet food each day. Don’t give in and offer the cat her usual dry food meal again or else you’ll set the whole process back. Make sure she’s eating enough wet food though, or else, contact your veterinarian for help. Remember, you don’t want to run the risk of hepatic lipidosis. If you have more than one cat and you’re doing the transition from dry to wet food, give each cat an individual bowl so you can be sure everyone is getting an adequate amount of food. In some cases that may mean feeding cats in separate locations. There’s a product called FortiFlora that may help. This is a probiotic that contains animal digest. It will enhance the flavor of the canned food, if the food by itself isn’t winning your cat over. You can get this product from your veterinarian. Just mix a little into the food and then sprinkle a bit on top. You’ll be able to gradually reduce the amount of FortiFlora used once your cat begins to accept the wet food. 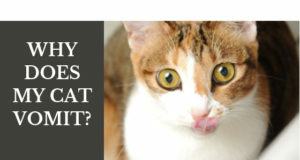 Need More Information on: Switching Dry to Wet Cat Food? For help in transitioning your cat to wet food, contact your veterinarian. Your cat’s veterinarian knows your cat and can make specific and appropriate recommendations on the process on an individual case basis. 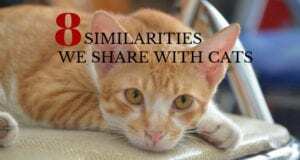 If you have questions regarding which food would be best for your cat, your veterinarian can offer guidance there as well. 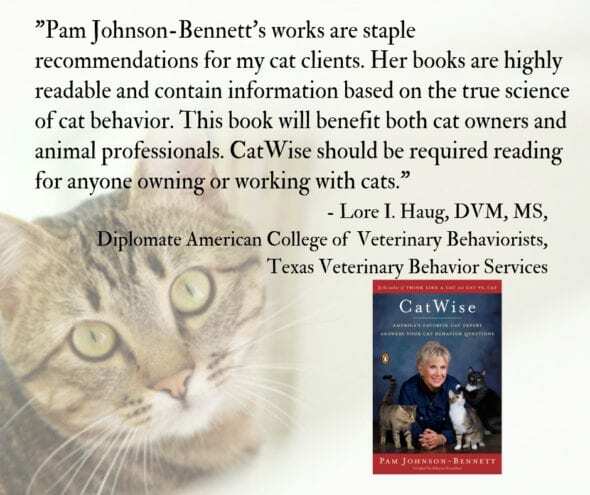 For more information on mealtime behavior, refer to the books by best-selling author Pam Johnson-Bennett.